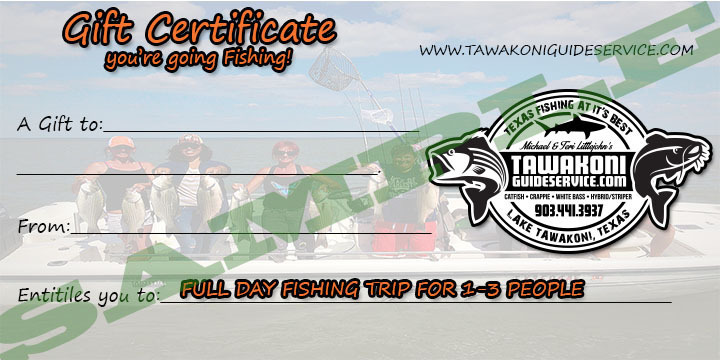 The perfect Gift...send someone fishing! Gift Certificates are EASY to purchase. Just simply click on the "Buy Now" button below either the "FULL DAY or "HALF DAY" certificate. We can arrange a date at a later time when you get ready to present your gift to the person you want to give it to.